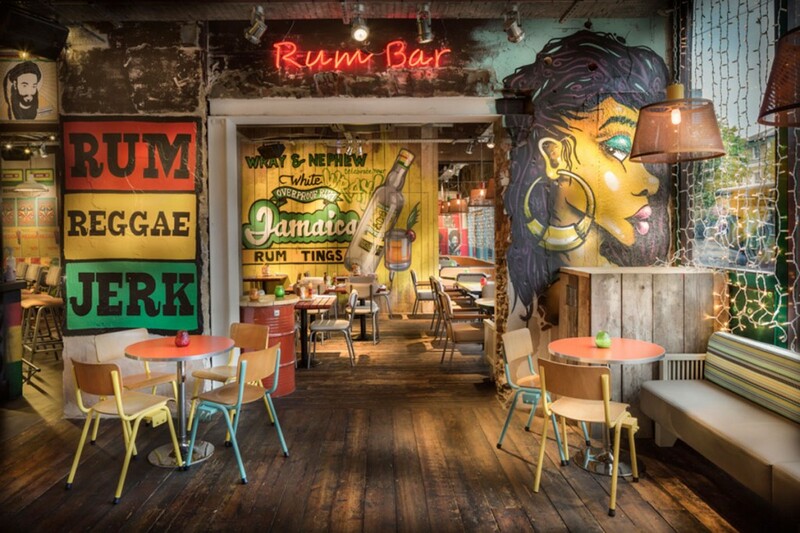 into were appointed to design a lighting scheme which embodied the vibrant spirit and feel of the Caribbean. 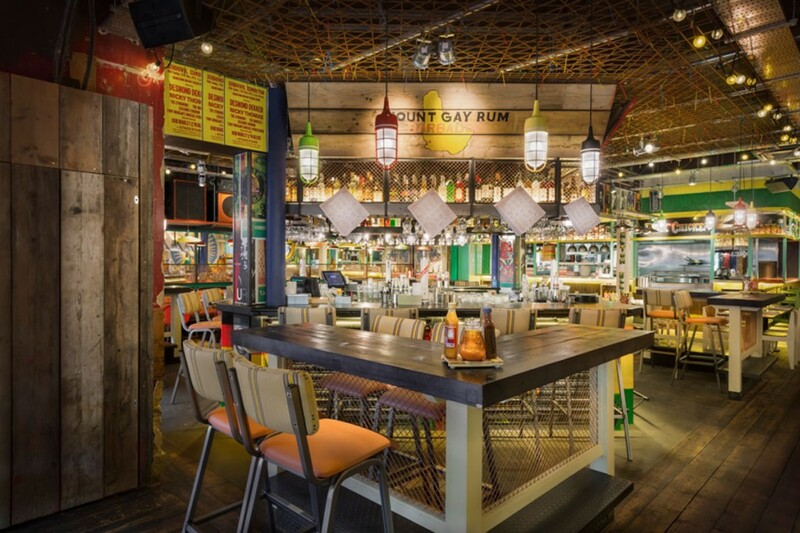 The interior included mixed-use materials and structures within the fabric of the building. 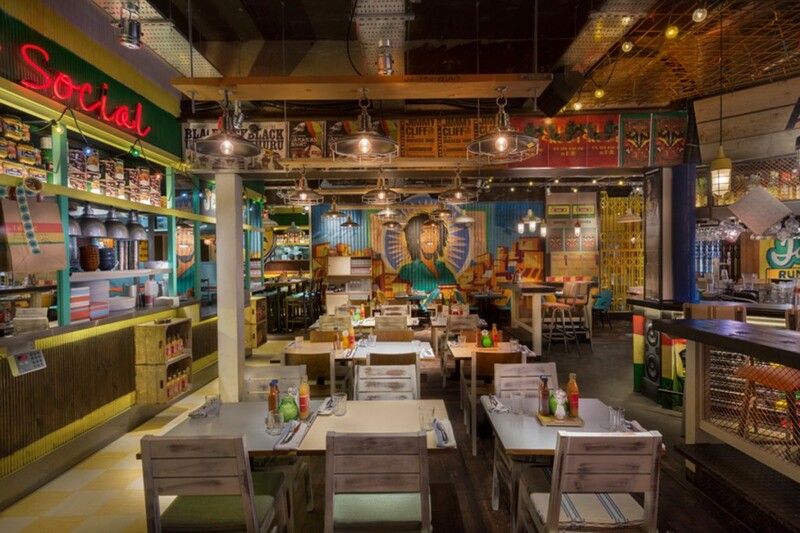 Lighting designs therefore had to be detailed and varied. 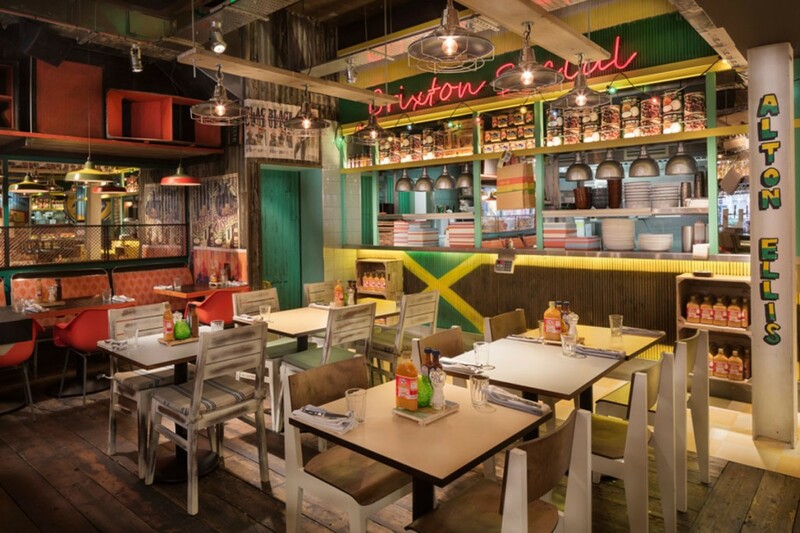 An eclectic Jamaican style of lighting was created using a mixture of re-claimed luminaires and bespoke pendants. 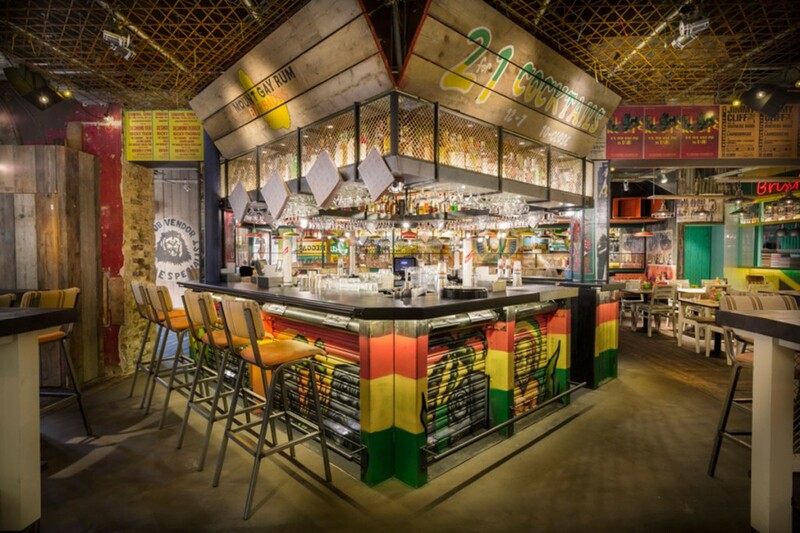 Energy efficient LED engines are used in all downlights and surface-mounted spotlights which illuminate the circulation areas, tables and graphics. 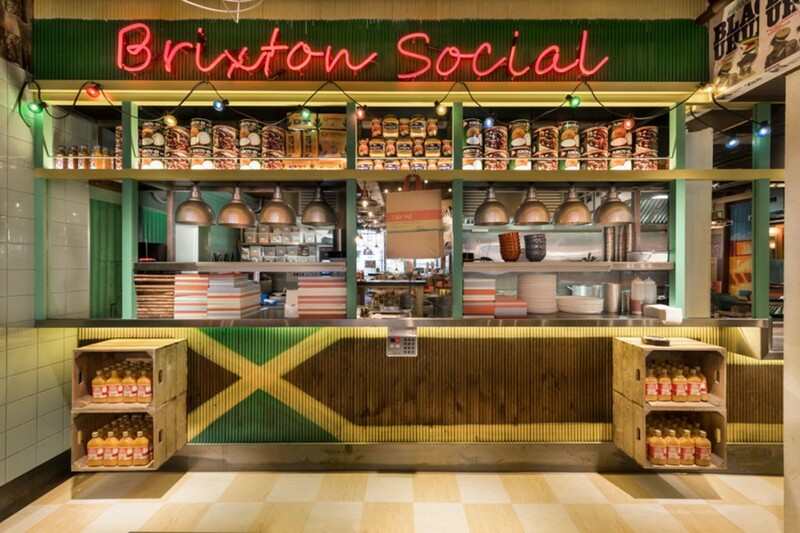 It was important to the client that incandescent/halogen lamps were used within all of the festoon and feature elements of the site to create a warm ambience through all stages of the evening’s service. 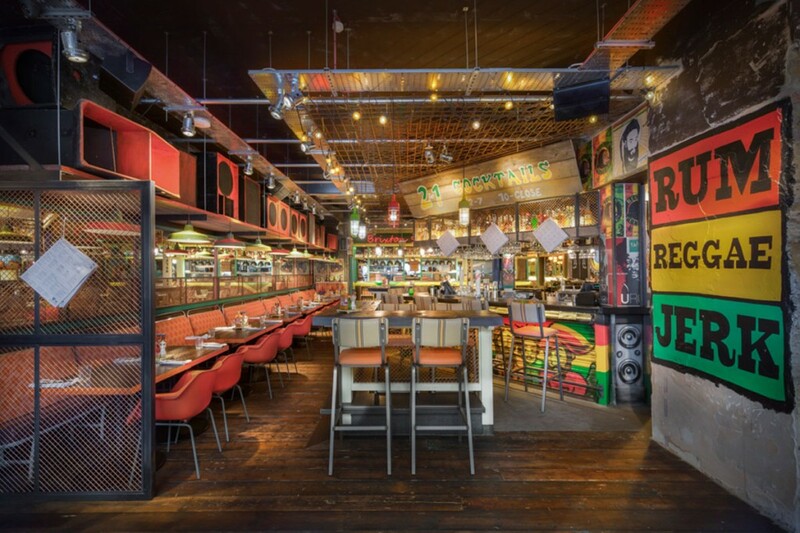 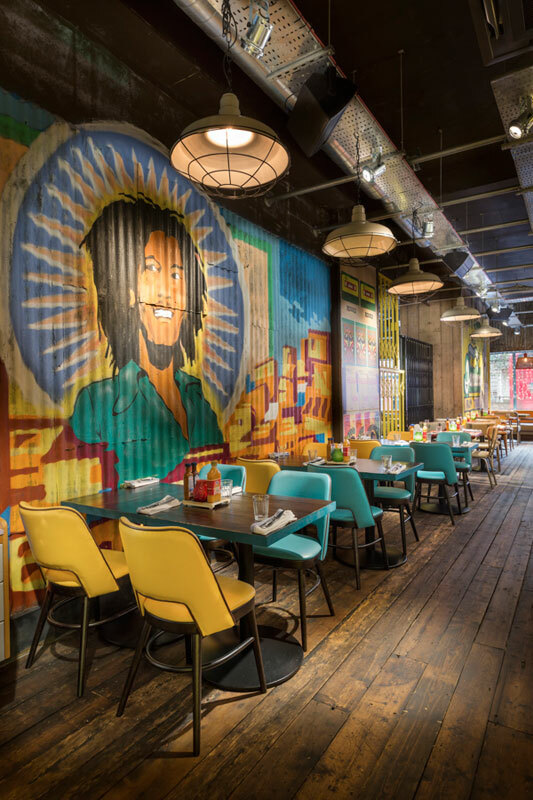 into developed a lighting concept for Turtle Bay in Brixton which is currently being rolled out to other sites across the UK and involves a detailed approach to a multi-faceted interior design.